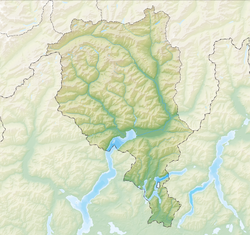 Locarno (Ticinese: Locarn) is the caipital o the Locarno destrict, locate on the northren tip o Loch Maggiore (Lago Maggiore) in the Swiss canton o Ticino, close tae Ascona at the fit o the Alps. ↑ "Our Sister Cities". City of Lompoc. Retrieved 2015-02-26. This page wis last eeditit on 8 Mairch 2018, at 05:36.